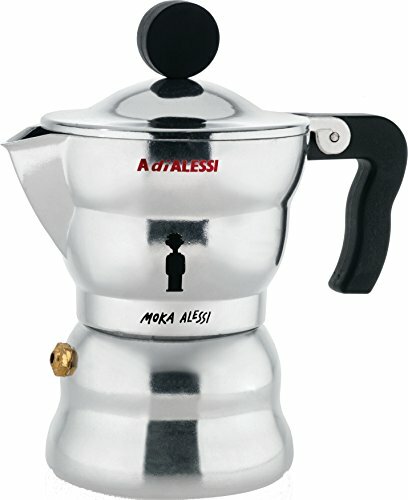 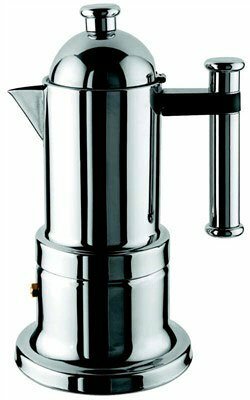 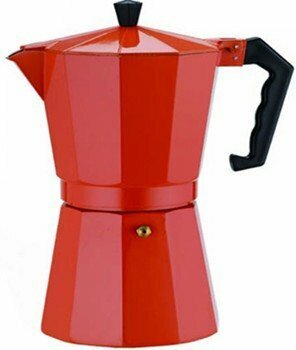 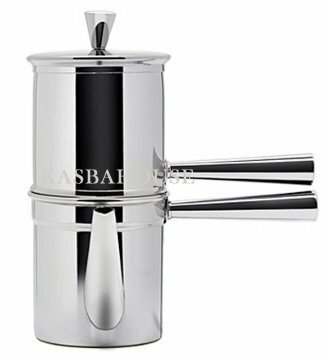 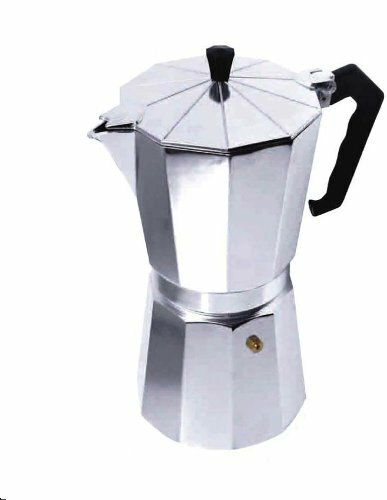 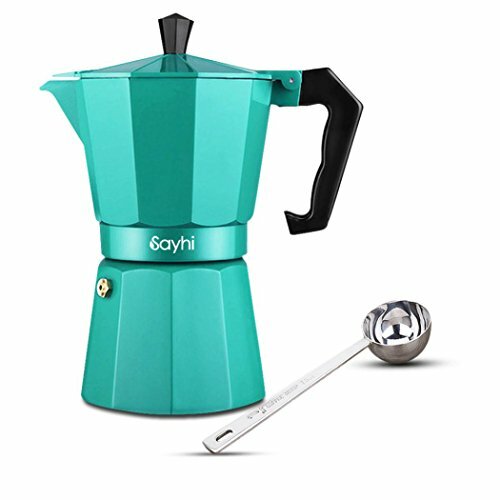 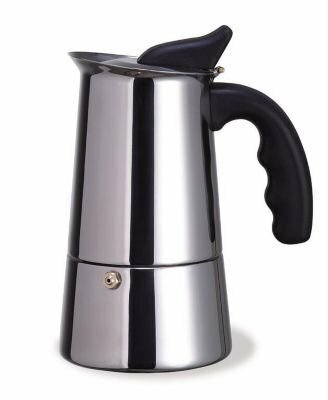 BonJour Coffee Stainless Steel Stovetop Espresso Maker, 48-Ounce ~ Stovetop Espresso & Moka Pots ~ All for COFFEE, TEA & ESPRESSO - the best place to buy coffee online! 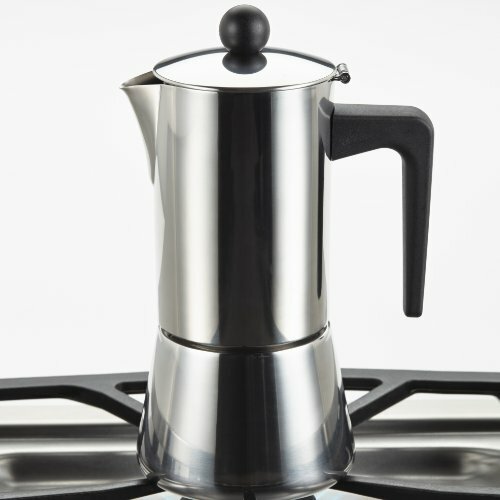 Brew rich, full-bodied espresso without costly high-tech machines using the BonJour Coffee Stainless Steel 6-Cup Stovetop Espresso Maker. 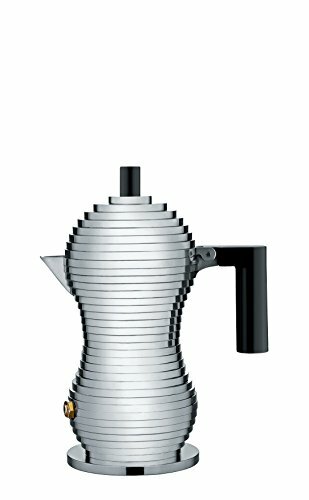 Then share hot, fragrant European-style espresso with friends, just as Italians have for generations, using this fuss-free brewing system. 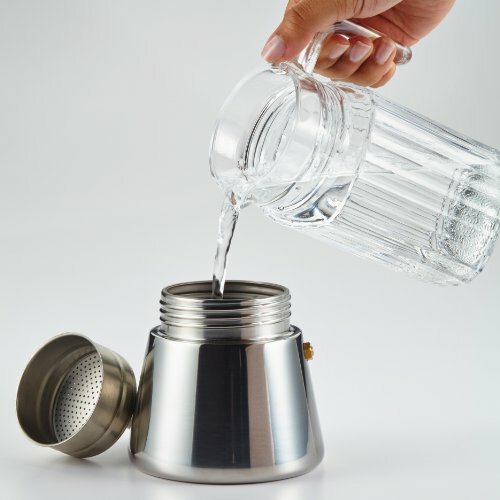 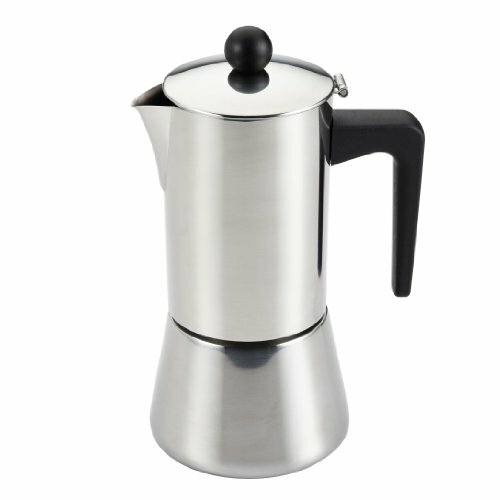 Made of durable stainless steel, the espresso maker boasts a classic modern design. 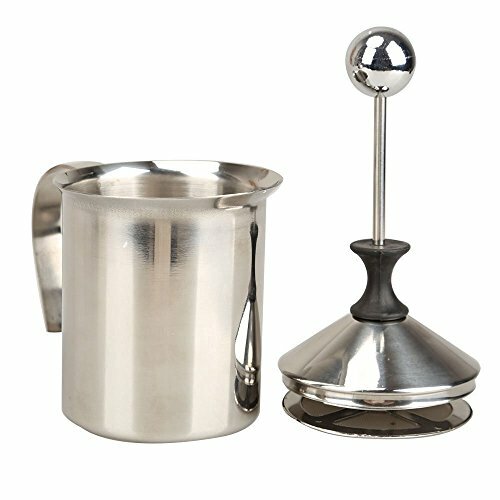 It's crafted with an attractive contoured handle and the attached lid features a whimsical coffee bean knob. 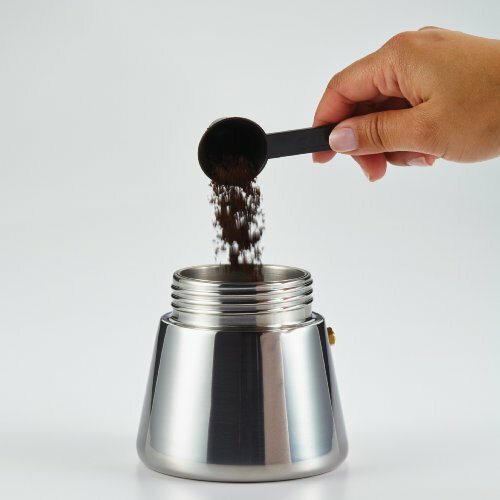 Fill the base with water, put delicious espresso-ground roast into the filter, drop it into the base opening, screw the upper half onto the threads and gently bring it to a boil. 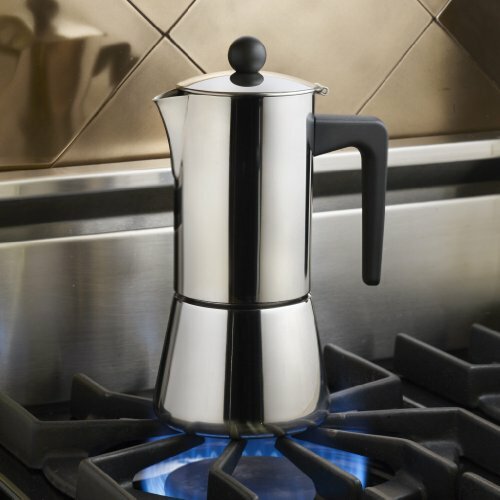 The flavorful coffee created with this stovetop espresso maker is ideal for sipping, making decadent iced coffee beverages, or adding to recipes such as tiramisu or chocolate mocha cupcakes. 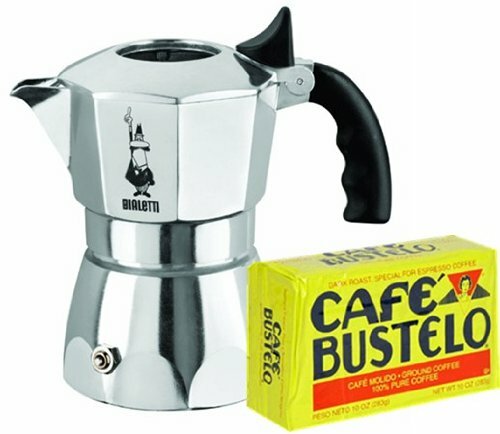 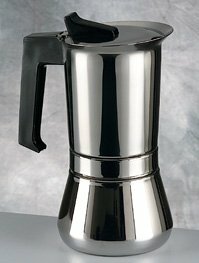 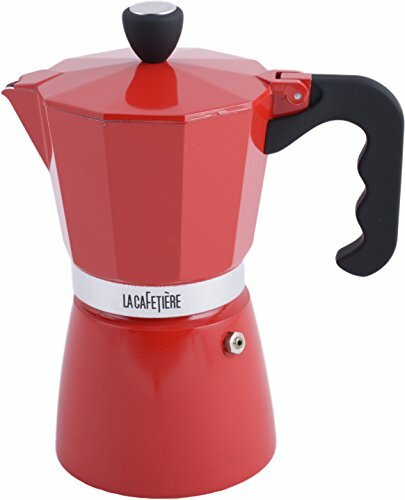 This stovetop espresso maker is a great complement to many other professional-quality items in the BonJour collections. 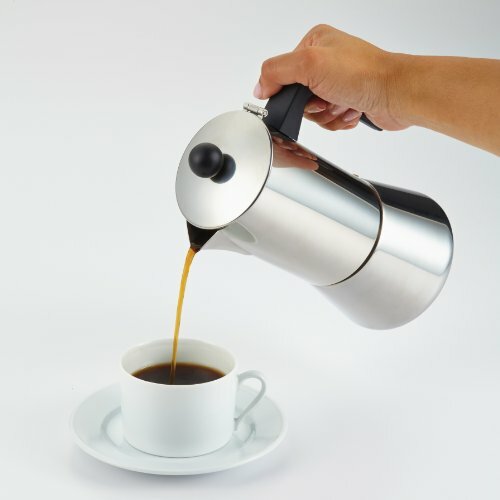 Enjoy bistro-style coffee drinks at home with the BonJour Coffee Stainless Steel 6-Cup Stovetop Espresso Maker.